Right after Philippe’s statement, people on Twitter started posting unconfirmed photos and videos of vehicles which they claimed were approaching the capital. “The army arrives in Paris,” one person wrote. The French Gendarmerie is a military police force which works under the jurisdiction of both the Interior and Defense Ministries. This type of deployment has not occurred since riots broke out in the Paris suburbs in 2005. 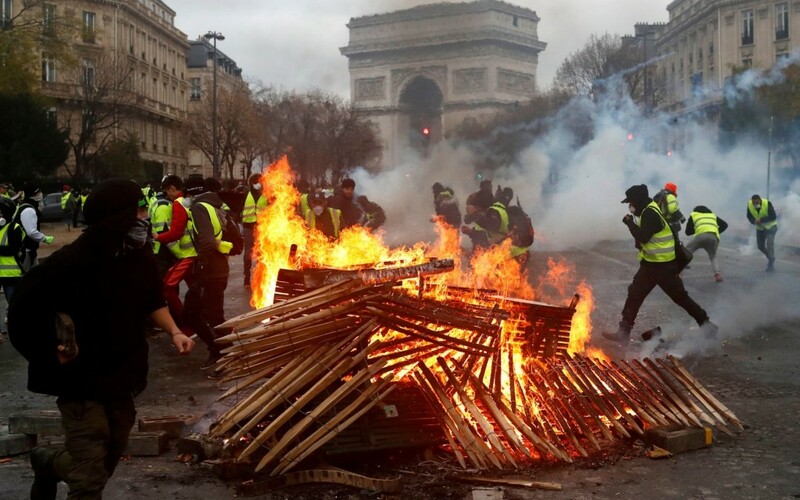 France is still recovering after violent clashes on December 1 resulted in over 130 people injured and more than 400 arrested. Four people, including an elderly woman, died. This Saturday, the Yellow Vests’ slogan is “we stay on our course.” One of the movement’s leaders, Eric Drouet, even promised to reach the Elysee Palace, the official residence of President Emmanuel Macron. Some reports in French media even claim that the authorities are worried about a possible coup attempt. There have been calls to attack parliamentarians, government officials, and police.